Believe it or not, this holiday, for one catalog, the top gift is not an iPad. Or an iPod. Or video games. It is a goat. Yes, you heard me right, a goat. World Vision's Gift Catalog offers meaningful, life-changing gift ideas, ranging from goats to fresh water supplies. Things that can really make a difference in in a child's life. This is the perfect gift for someone who has everything. Or for the shopper who wants to purchase a more meaningful gift. Shopper can even match gifts with the recipient's personality. An animal lover would enjoy giving a goat, sports fans might love soccer balls donated to a school, gardeners would feel good helping a farmer's family with drought-resistant seeds, or the cyclist might feel good about a child in Africa or Asia getting a bike to ride safely to school. The cool thing is that donors receive a special card describing the gift and its impact. Donors can also receive beautiful homemade gifts such as ornaments from Nairobi and jewelry from Thailand with a contribution to the Maximum Impact Fund which helps those in the greatest need. New to the catalog this year is the option to create a personal My Gift Catalog page. This tool allows people to create their own personalized fundraising page. Once created, you can encourage family and friends to visit and purchase from the catalog in lieu of traditional gifts. I received this beautiful Artisan Glass Bead necklace to review. It is absolutely stunning. The glass beads of various colors make this a versatile piece of jewelry. At nearly 4' around, this can be as a long necklace tied in a knot or as as two equal strands or as a shorter strand or longer strand. You can even wrapped it around your wrist several times for a multi-strand bracelet. At $60, this is an affordable gift, with $47 of the price being tax-deductible and going to those who are in the most need. 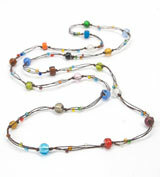 To help spread the word, World Vision is going to giveaway one Artisan Glass Bead Necklace to one of my lucky readers. Simply enter the easy Rafflecopter giveaway below. Disclosure: I received a necklace in exchange for this post. A great concept, I like the idea of the two chickens. Great idea...and a beautiful gift! Beautiful necklace for a great cause! I'd give the Seeds, Tools, and Training in Africa. I like the theory behind all the gifts in the "Gifts that Multiply" section. I would choose this same necklace to give away because what an amazing creation for such a good cause! 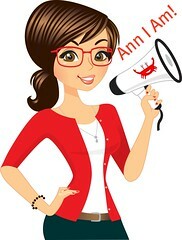 New follower and thank you for hosting this great giveaway for a very important cause. I entered the Midwife DVD giveaway. I would give away medicine! Can't stand it when children die of things that are so easily treated with proper medicine. Thanks for doing your part to help out and for good giveaways. Could you also please put me down for +1 in the Call the Midwife giveaway? Rafflecopter wants me to let you know that I entered this giveaway & commented for a +1 bonus. :-) Thank you! I entered the Rx Timer Caps giveaway! I love the idea of giving such a unique gift! Perfect option for the person who has it all, and great help to somebody else in need. The goat, chickens and medicine all seem like really worthwhile gifts, but the goat and chicken would help the entire family the most in the long run.